In coming to write this article, I can’t help but feel nostalgic and proud to have been part of an iconic trade fair in the Information and Communication Technology (ICT) industry. I have been lucky to have worked some of the most memorable trade events and with great technology clients throughout the past twenty years with a handful of these event projects having been at CeBIT Australia in Darling Harbour. CeBIT Australia is celebrating its 17th year this year. 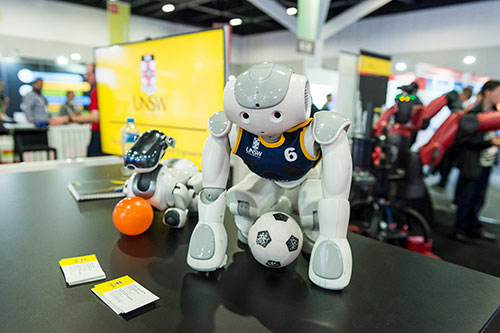 Over its lifetime, it is estimated that CeBIT Australia have delivered more than $2.5 billion of economic value to Australia, and that each year CeBIT Australia generates $60 million of economic activity for Sydney alone. The event has truly cemented its position as the business technology event for the Asia Pacific region, attracting thousands of technology professionals from Government, enterprise, small-medium businesses and start-ups. notes on current industry trends, products, user influencers and the new innovations that’s predicted to come in the next few years. Deutsche Messe AG has organized CeBIT in Hannover each spring since 1986, in Germany. The success of CeBIT in Hannover has prompted Deutsche Messe AG to market the CeBIT concept outside Germany using the slogan “CeBIT Worldwide Events”. CeBIT Events now also take place in Istanbul, Turkey (CeBIT Bilisim Eurasia plus CeBIT Broadcast Cable and Satellite) and in Sydney, Australia (CeBIT Australia). Let’s take a walk down memory lane and discover the history of CeBIT and how much it has evolved through the last 17 years. CeBIT put on its inaugural tradeshow in Sydney on 28 May 2002. 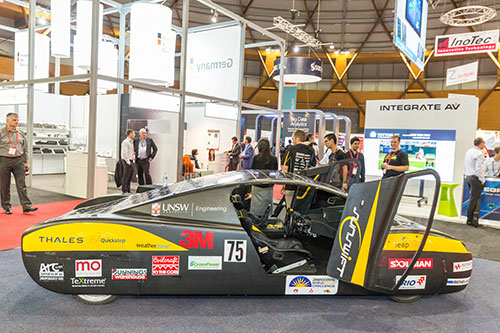 Opening its doors for the first time in Australia, the event attracted a strong representation from the world’s top tier vendors with IBM, Fuji Xerox, Hewlett Packard and Vodafone to showcasing their latest and greatest. CeBIT Australia was promoted as the most important ICT deal-making event for 2002. A spinoff of the annual CeBIT show in Hannover, Germany, which had a great seventeen-year pedigree before it landed on our shores. The exhibition floor format hasn’t changed much through the years. The 2002 exhibition arena was staged in three main zones: telecommunications, information technology and Internet solutions; software; and services. Even back then organisers expected 15,000 trade visitors to inspect the products of 350 exhibitors, with 95 vendors from Europe, Asia and North America. 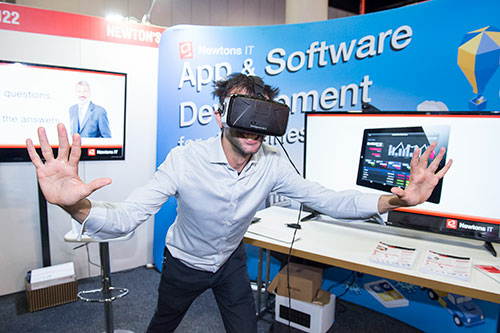 Not to be known as just another tradeshow, CeBIT’s parent organisers Hannover Fairs wanted to change the old, stuffy stereotypes of Germany and its culture. Instead their aim for CeBIT was to have a fresh modern approach. They wanted to create an experience that was an industry platform that showcased the science and technology behind it all. So how has CeBIT changed the past 17 years? What kind of topics, innovation and technology zones have been covered throughout the years. What is installed for us today? Let’s fast forward to 2004, CeBIT Australia's trade show floor heavily featured Wireless technologies with more than 20 exhibitors publicising their 802.11 and Bluetooth products. CeBIT’s wireless network for 2004 was provided by Symbol, utilising seven dual 802.11a/b base stations to provide wireless internet access to exhibitors and visitors. Hot spots will cover areas such as the cafe, the media and VIP rooms and sections of the exhibition floor, including the area around the Symbol stand. Wireless internet access is also available to exhibitors' demonstration peripheral wireless products. While exhibitor numbers are up on 2003, the world's premiere ICT trade fair has struggled to lure back international exhibitors after the SARS virus, the war in Iraq and poor economic conditions. The overall number of exhibitors has grown 20 per cent. 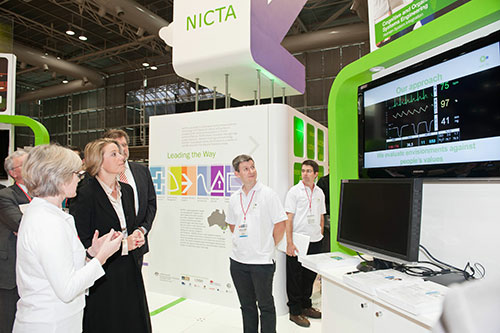 CeBIT Australia 2007 was described by some as the biggest, most impressive show in years. In 2007, I personally had the pleasure of working for one of CeBIT’s main attractions. I worked with the Panasonic team, where CeBIT was one of their strategic events which featured the World’s Largest 103-inch Commercial Plasma at the time; an amazing digital signage display showcasing up to twenty plasmas and their resilient Toughbooks. Sony also had a strong presence that year with their Blu-ray video format, projectors and smart surveillance which can identify the location of multiple people's heads and faces within a video stream. 2007 was also the last year I can remember having so many gimmicks to get people to your stand. Most of it had nothing to do the technology being displayed, or the marketing messages they wanted to get across to their target audience. It was just a bit of fun. It was the last business trade fair I was involved in where promotional models were used. Yes, the end of an era of trade show models in ridiculous costumes. In 2010, eHealth @ CeBIT was Launched. eHealth @ CeBIT was established to bring the health technology and eHealth community together in a single showcase demonstration, where practical application of medical devices, systems that support clinical service delivery, and technology supporting community, home, and self-care can be displayed. Highlighting the things that do work and the latest innovations that are being applied across the system and how these technologies are being implemented. Now despite a challenging economic climate, visitor numbers to CeBIT Australia 2010 were very strong, 30,426 visitors and 594 exhibitors. This turnout was an indication the widespread realisation by businesses and organisations of all types, of the role information and communications technology can play in helping streamline processes, cut costs and achieve growth outcomes. 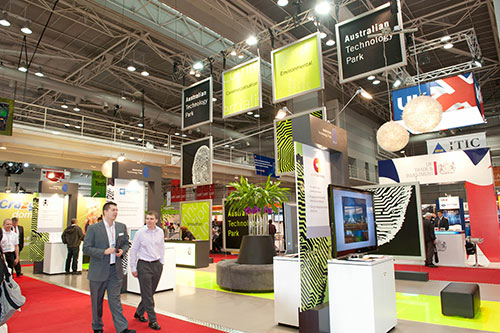 In 2014 with the renovations of the International Convention Centre (ICC) in Daring Harbour, CeBIT Australia had to find a new home for is trade fair. There were many challenges that year. One challenge was persuading exhibitors and visitors to make the 17-kilometre journey to Homebush; another was preparing the Sydney Showground venue at Olympic Park to fit & host such an event. These challenges impacted on CeBIT attendee numbers, with around 18,000 coming through its doors at Olympic Park to visit over 450 show floor exhibits. ICC Sydney in Darling Harbour welcomed CeBIT back to its home ground in 2017. This was a long-awaited return by the regular CeBIT goers to have the exhibition back as the impressive new ICC Sydney facility. CeBIT Australia attracted over 15,000 attendees from Australia’s most influential organisations. Focusing on three main pillars: Content & Learning; Product Discovery; and Collaboration & Networking. Last year’s winner received a complimentary stand for CeBIT Australia 2018, $12,000 worth of hosted cloud services from Orion VM and a 12-month membership to TiE Sydney, a non-profit, global networking community. Clearly one of our country's largest business events, CeBIT attracts thousands of people from interstate and overseas to Sydney, who typically stay for the whole week of the exhibition. Over the past ten years, more than one hundred official country-level trade delegates have visited Sydney to participate in CeBIT. So, what’s in store for us today with CeBIT? The promise of bigger and better things, and as always, the regular vendors who are back to present the next evolutions of their products, some concepts and prototypes the rest of us only dare to dream about. And of course, PitchFest returns in 2018 - giving ten start-up exhibitors the opportunity to pitch their product to an experienced panel of judges in front of a large audience of fellow start-ups, investors and potential customers. CeBIT continues to be Australia’s most important business, government and technology platform. It is an innovative eco-system, where innovation breeds further innovation. Having worked with distribution partners to present and introduce vendors like Lampertz, Avira, Socomec UPS to the Australian market, I believe CeBIT remains the launch pad for many new products and companies who are wanting entry into the Australian marketplace. 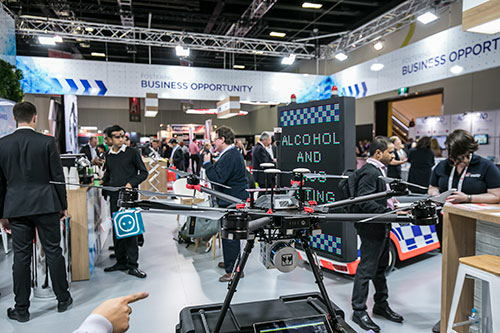 CeBIT assists those organisations to showcase their inventions, technological advances and discuss many future-proofing initiatives that businesses seek today. It is an opportunity to get in front of a larger audience in a high touch, high value format, in such a condensed period of time. It is a concentrated market research in one place. By participating as an exhibitor and even attending as a visitor, CeBIT is one of the most time efficient ways to meet all these companies in a closed environment. Where else but CeBIT would you get access to C-Level executives, in any other circumstance, it would take weeks if not months to even set up a call, let alone a face to face meeting. For start-up and entrepreneurs, it’s an opportunity to showcase and rub elbows with some tech giants, get exposure and drum up awareness with a larger audience and potential partners and target clients. For university students it’s a chance to engage with prospective employers and companies for a future internship or discuss a great career path option in such an innovative field. For the rest of us in a services business to business organisation, it’s an opening to broaden and expand our network. Find inspiration in what’s being exhibited, educate yourself on key technological issues businesses are facing and learn how you might be able to address some of the pain points of your clients. If you have never experienced a trade show like this before, you are missing out. By attending an event like this it is an opportunity for you to exchange ideas with businesses you could only wish to get in front of. Have a large stage to display and show your products and designs. CeBIT is an incubator for collaboration, you just have to be willing to listen to feedback, take it all in and be open to change. Who knows what doors will open up for you and your business? The opportunities await.